My sweet mother-in-love needed some artwork for her beautiful kitchen that was remodeled last year! 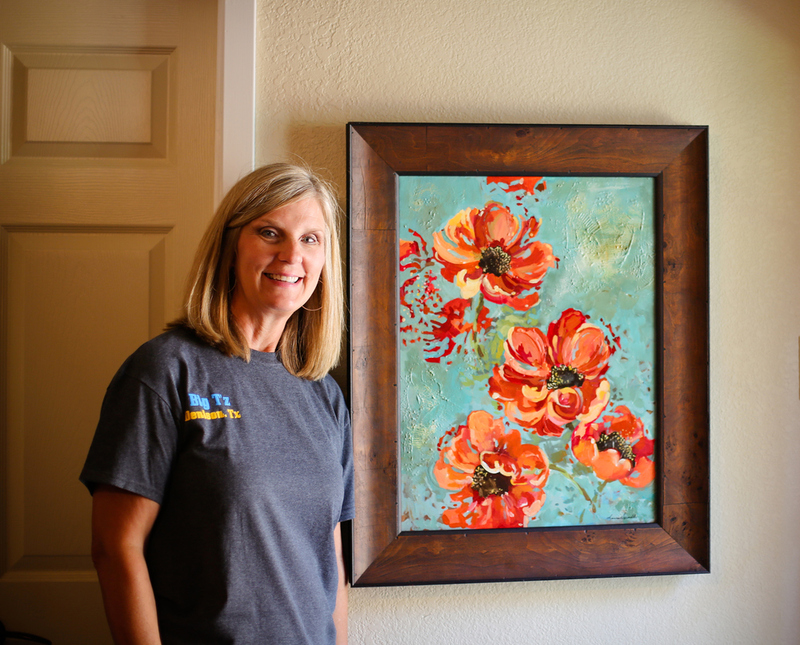 We found a painting in a store we liked so we used the same concept to create this piece to match her kitchen better! 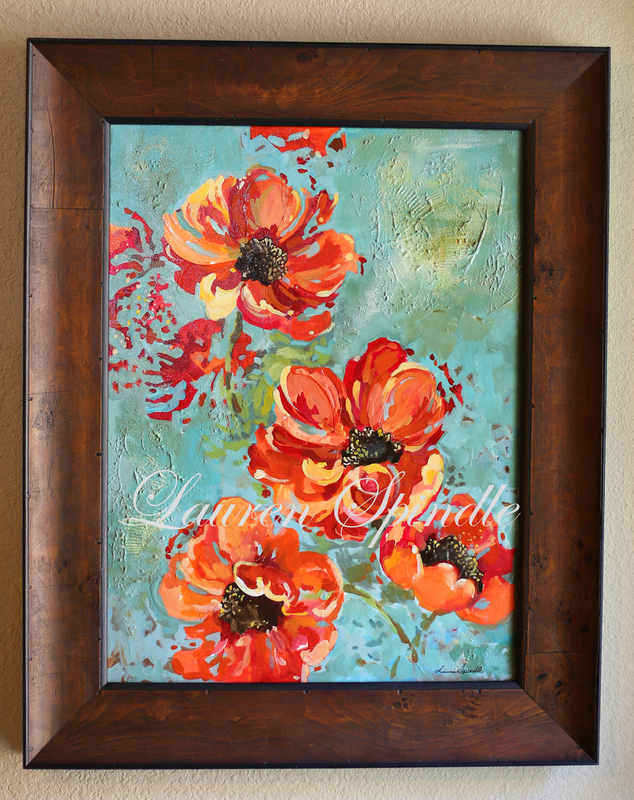 I hope you enjoy your poppy painting Beth! Below we have Beth with her painting. I also showed some beginning stages of the painting process and Nana Libby modeling with the piece!